Our time to go apple-picking this year is seriously limited. As Jen has not gone back to work yet and I had the day off we decided to take advantage of going to an orchard on an overcast Wednesday afternoon with the threat of thunderstorms hanging in the air. As with any year picking the right orchard starts with Googling and poring through scores of terribly designed websites. Apple orchards have notoriously poor websites. Their lackluster appearance is usually only matched by their lack of useful information. 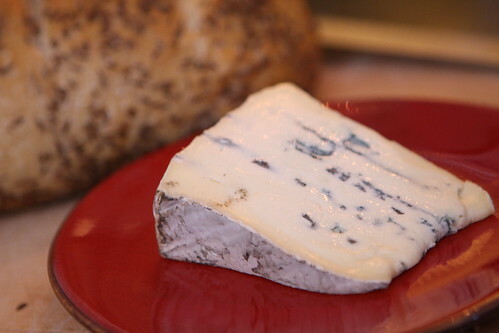 I had narrowed it down to two orchards: Dr. Davies Farm in Congers, NY; and Stuart's Farm in Granite Springs, NY. I picked the former mostly on the strength of the history of Dr. Davies Farm link on the site. This history of the farm is interesting in that there are seven paragraphs about the history of the farm and nine paragraphs about the song "Happy Birthday to You" which was purportedly written by the farm owner's grandmother's first cousins. Hobnobbing with celebrity at this level comes at a price: $39.00. The price of $37.00 to collect a bag of apples was shocking enough. 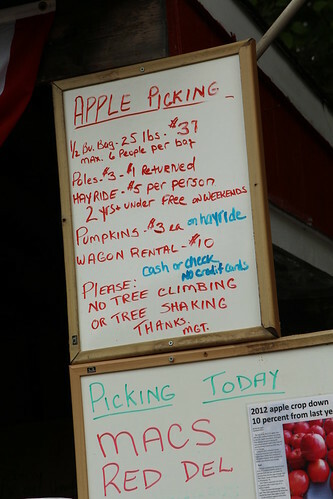 There was an optional $3.00 charge if you wanted to rent a pole to collect apples off the trees with $1.00 being refunded upon safe return of the pole. I figured if we were spending this much money for some apples we may as well get the pole. I also figured we should just keep the pole in protest of the outrageous prices. In pre-Wombat days we would have found an alternate orchard after learning these prices but the guys had been fed and this trip was being carefully timed so we were forced to give in to their apple tyranny. Our plan to go on a slow rainy Wednesday to avoid crowds was a miserable failure. 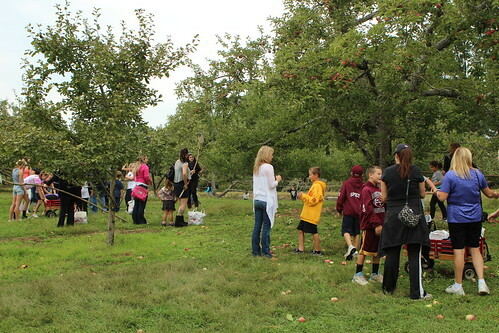 I have never in all my life seen as many people on an apple-picking expedition as at this place. Clearly the price structure was not driving away business. Every tree in this orchard was swarming with people and the chatter filled the air like a giant communal dining hall. There were certainly a lot of people there but it was made worse by the fact that this was the smallest apple orchard I've ever seen. I'm not sure how the word orchard is defined. If it is defined as two or more apple trees then yes, technically, this was an orchard. However, I usually expect there seemed to be about eighteen trees in this entire orchard and walking the complete perimeter took in the neighborhood of ninety seconds. But it's all about the experience. The Wombats will never remember this expedition. However there will be reminders in the form of pictures, stories, and the fact that they do not have college funds. After returning home and nursing my sore arms from using their uneven reclaimed tree branch picking poles we had an unexpected family nap which was a lot of fun and completely threw off all of our afternoon plans. Yesterday Jen picked up the farm share. 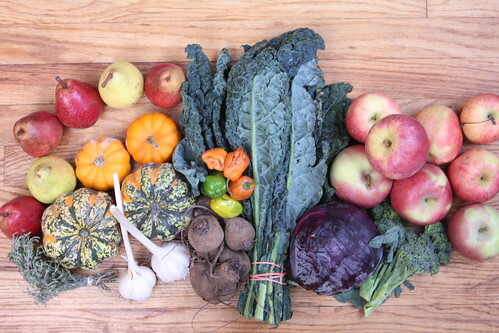 This week we got Lacinato kale, Carnival winter squash, garlic, red cabbage, beets, broccoli florettes, thyme, munchkin pumpkins, hot peppers, Gala apples, Fuji apples, and Red Bartlett pears. When I heard we were getting "four florets" of broccoli I assumed that it was some sort of mistake in wording. I was surprised, and slightly disappointed, to find out that this was no mistake. We got four florets. 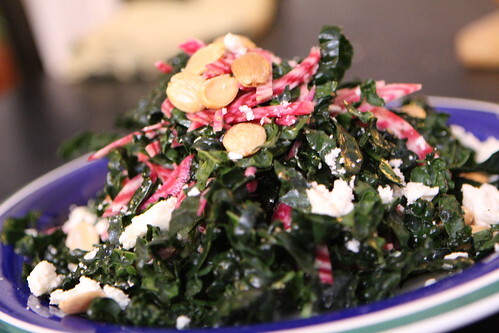 I finely chopped the Chiogga beets, Lacinato kale, and tossed them with lemon, olive oil, salt, and pepper then topped it all with feta cheese and Marcona almonds. The other day I threw away the remainder of a baguette that had gone completely stale. When I came home from work I saw that Jen had removed it from the garbage and made it into bread crumbs. I was pretty upset about this as I found it to be disgusting. She had a George Costanza type explanation as to how it was on the top of all the other garbage and I was not willing to accept that. Tonight, as I decided to make schnitzel in continuation of our Oktoberfest celebration, I realized we had no bread crumbs and suddenly the bread crumbs in the freezer weren't looking so bad. I breaded up some nice veal scallopini that with flour, egg, and the garbage bread crumbs. After frying it up in a pan I drizzled it with lemon juice and served it with roasted carrots from the farm. 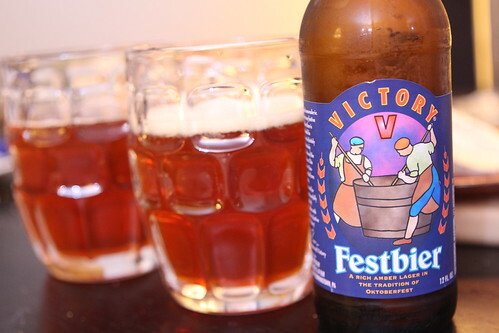 For a drink I poured this Festbier from Victory Brewing Company. Of all the remaining Oktoberfest beers in the fridge this was the one with the highest average rating on beer advocate. It was probably the best Oktoberfest beer we've had so far this year. After a long day of Wombat wrangling and large apple expenditures it was a nice way to relax after a great meal. If you notice pop up ads on the website going forward it's just an attempt to cover some of the expense of today's apple-picking adventure. Today's blog entry is sponsored by Ford now with Ford Sync technology! Keep your hands on the wheel and your eyes on the road. Drive a Ford today! Labels: babies, beer, best of, cheese, day trip, How'd we use it?, Special Occasions, What'd we get? Nothing can be classified as garbage until it has been picked up by the hauler. The time between when the item is consigned to the trash and when it is actually picked up should be considered as a state of "food purgatory". The item in purgatiory can be brought back into good graces through prayer, good works or need. With all due respect I think I will pass on your assessment of the matter. Unless you can furnish proof that you do not currently have any expired food items in your fridge. 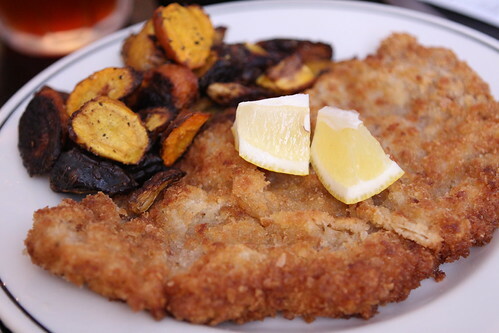 You gotta admit: the Purgatory crumbs made EXCELLENT schnitzel! The fridge is surpringly devoid of expired items. Might be an opened condiment screaming to be refrigerated lurking in the pantry though. Right. I should have been more specific.